With spring just around the corner and the weather slowly heating up, it's time to get active and break out of hibernation mode! But if you're not keen on hitting the gym and the idea of a group fitness class leaves you exhausted just thinking about it, we've got you covered with our G'Day Girl guide to the best fitness apps for the lazy girl. Yup, no need to set foot outside the house - these apps will have you springing into action all from the comfort of your living room! If you love having an instructor to run you through a workout routine, but don't have the time or desire to venture to a class, Qinetic is going to become your new best friend. Providing live streaming and video on-demand, Qinetic's classes can be viewed right from the comfort of your own home and at no cost. Consisting of a mix of unique fitness workouts such as yoga, zumba, HIIT and more, the classes are hosted by some of the best faces in the industry. So now there's no excuse for not making it to the gym - simply turn on, tune in, and stay great! Hailed as the smartest workout app on the planet, Sworkit is used by over 25 million people. The app allows use to choose what kind of workout you want, from yoga, strength training, stretching or cardio, and how long you have. Sworkit was also rated #1 by a recent study assessing fitness apps based on the parameters for safety, stretching, progression, and more set by the ACSM (American College of Sports Medicine). So now there's no more needing a gym, or weights, or excuses, just Sworkit! Make your workouts count and raise money for charity as you burn calories. 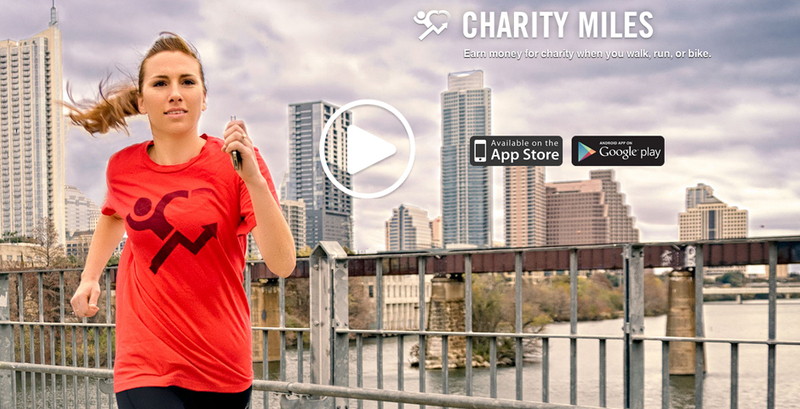 Charity Miles teams with corporate sponsors such as Humana, Johnson & Johnson, Chobani and more to donate a few cents for every mile you run, walk, bike or move! Simply download the app and get moving to benefit your own fitness and the lives of others! Nike + Training Club is your ultimate personal trainer, allowing for workouts anytime, anywhere. Get fit with 130+ free workouts in a variety of full-body challenges—from strength and endurance to mobility and yoga—featuring world-class Nike Master Trainers in every drill. You can even work out with athletes such as Serena Williams and Cristiano Ronaldo, and get personalised workout recommendations tailored to you. If you're short on time, this app does exactly what it says on the box - delivers 7-minute workouts in a range of difficulty levels. With more than 2 million downloads, The Johnston & Johnston 7-Minute Workout offers 72 exercises and 22 additional workouts that can be customized and modified to create more than 1,000 variations to help keep you motivated and moving. The best workout is the one you can do right now and Fitstar Personal Trainer by Fitbit offers customised video workouts tailored to your body and fitness goals, on any screen, anytime, anywhere. It's just like having a personal trainer in your pocket with programs that continually adjust based on your feedback and capability. Train like a beast, look like a beauty with Youtube fitness star Cassey Ho and her Blogilates app! Workout with her videos, cook fun and healthy Blogilates recipes, get social with other POPsters in the community forum and follow the monthly workout calendar to keep you on schedule. Get your Downward Dog on in the comfort of your home thanks to the Daily Yoga app. Inspiring yogis worldwide, this mobile yoga studio in your pocket contains the largest yoga pose library, 100+ yoga and meditation classes plus varied programs that suit yogis of all levels, and helps them stay with yoga everyday. Namaste. Daily Workouts offers 5-30 minute workout routines for arms, abs, leg, cardio and glutes, demonstrated by a certified personal trainer. Each exercise includes a video and on-screen instructions along with a timer set to the length of the interval. If there's one form of exercise that we can get behind, it's sleeping! So after you've worked up a sweat, it's time to wind down and let your weary body recover with some good old-fashioned shut eye. Relax Melodies helps to take back control of your sleep with 52 free sounds and melodies to create unlimited ambiances and atmospheres - perfect for sleep, relaxation, or other times you need to get your zen on.